Playing music from the age of 11, Sachar learnt the mandolin, violin & guitar and has played in traditional/world music groups as well as the Melbourne mandolin orchestra. In 1993 Sachar began a 4 year apprenticeship with John Ferwerda (violin maker) becoming a specialist in violin bow restoration, then in 1998 went to Galway, Ireland to study general stringed instrument making with luthier Paul Doyle. Upon returning to Australia Sachar spent several years gaining as much experience as possible to broaden his knowledge and skills in making & restoration, working with several of Australia's most talented luthiers including Benedict Puglisi, Carson Crickmore, Richard Howell, Jim Matheas, Tim Kill, Lennox Holt and Roberto Cavignoli (Italy). Sachar says "It's been the best possible experience" to learn from so many skilled luthiers whilst practicing a craft that he loves to do. 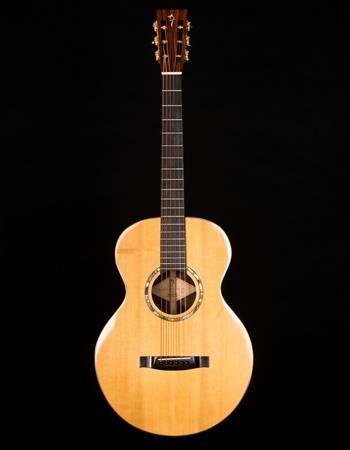 Sachar’s guitars have been sold at the Acoustic centre in South Melbourne, the Guitar factory in Sydney and through classical guitar teachers in Australia, New Zealand, Singapore, USA and Ireland. 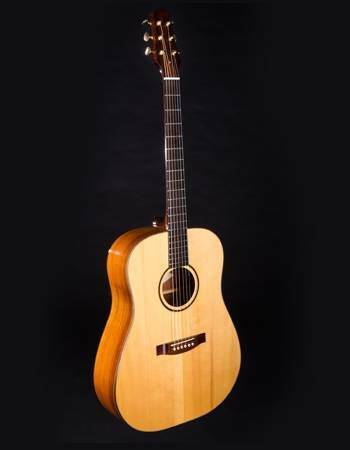 Sachar is a regular exhibitor at the Melbourne Guitar Makers Festival as well as various music festivals across Victoria and also displayed his instruments at the Singapore Guitar exhibition in 2010. Giving back to the community who has supported him, Sachar makes time to be available as a tutor to luthiers who are learning stringed instrument making, helping them to develop their skills and knowledge of the craft. Also, every second year since 2004, Sachar has donated one of his handmade guitars to his local music festival in The Basin as a first prize for its songwriters contest, attracting over 100 entrants on average per year. 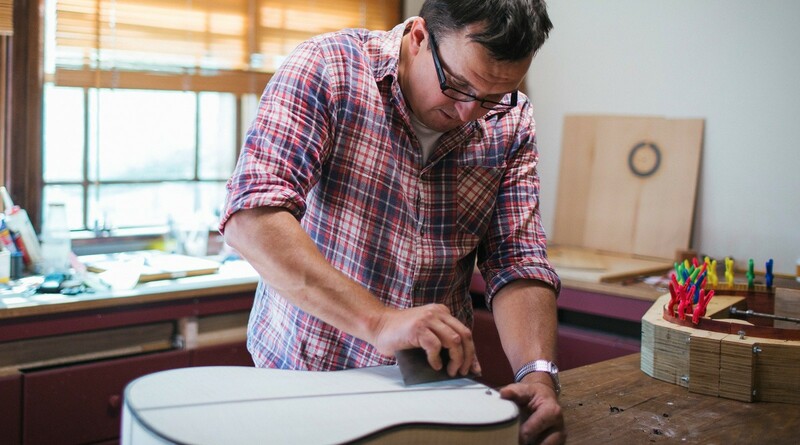 Today Sachar operates his guitar, mandolin & violin restoration and repair business from his home workshop in the Dandenong Ranges and hand crafts classical guitars under his own name. I Began my career at the violin making & restoration workshop of John Ferwerda in Hawthorn East, Melbourne. Spent 4 years training and working in bow restoration & violin restoration, setup and maintenance. Worked for 6 months in Galway, Ireland with luthier Paul Doyle making a variety of stringed instruments for traditional Irish music including Guitar, mandolin, Bouzouki and Celtic harp. Worked on batch projects with Carson Crickmore making steel string guitars based on Martin guitars 00, 000, OM & Dreadnought designs. 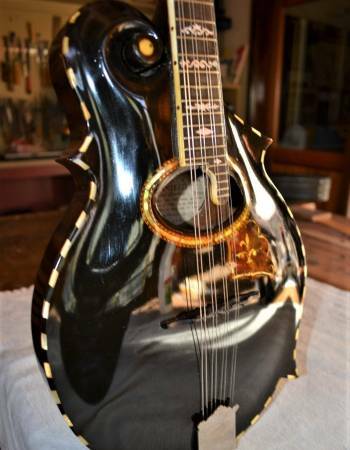 Worked on a casual basis with Jim Matheas guitars in repair and maintenance of acoustic and electric guitars. Made 35 Hawaiian Guitars (Weissenborn lap steel) over a 7 year period for the acoustic centre in south Melbourne. Studied violin bow construction and restoration with Professional Bow maker Lennox Holt. Making over 60 fractional size classical Guitars (to date) under the Southern cross brand name for Suzuki guitar teacher Zeah Reordan. Making high quality student guitars under the Prelude brand name with renowned classical guitar maker Richard Howell. 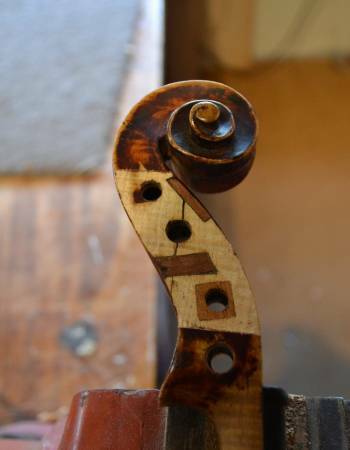 Specialist in violin & bow restorations with Atelier Puglisi. Established & operates Sachar Amos guitars workshop making & restoring guitars, mandolins, violins and other stringed musical instruments.